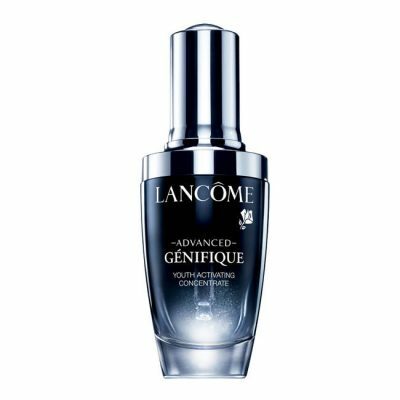 Free Lancôme Advanced Génifique Youth Activating Serum Sample – Complete the form to get a free 7-day supply of Lancome Advanced Genefique Youth Activating Serum. Free GODIVA Dark Chocolate Strawberry G-Cube In-Stores – Head to your local GODIVA store between Feb. 2 and Feb. 16 and get a free Dark Chocolate Strawberry G-Cube. No purchase necessary. Free Takis Snacks at Giant and Martin’s Food Stores – Load an offer for free Takis Snacks to your Giant or Martin’s Foods Stores account. Free Slice of Pizza at Flying Pilot J – Dowload the Flying Pilot J app and get a free slice of pizza between Feb. 3-10. While supplies last. Free Subscription to Rachael Ray Magazine-Click here to begin your complimentary 2 year subscription to Rachael Ray Magazine, courtesy of Mercury Magazines! Available for a limited time. Free Sample of Derma e Purifying Daily Detox Scrub-Be one of the first 4,000 requests and you’ll receive a free sample of Derma-E Purifying Daily Detox Scrub! Available while supplies last. Free Deponia The Complete Journey PC Game Download-Epic Games is giving away a free PC Game. Click here to get your free download of Deponia The Complete Journey PC Game for free for a limited time. Free Where is Bear & Amazing Me! It’s Busy Being 3 Books-Pull down the drop-down menu and select “BOOK” for material type. Input codes 300073 and then code 221054 in the Search for Text box and add the books to your cart. These are available only while supplies last, so hurry! Free Subscription to AutoWeek Magazine-Click here to subscribe for free to AutoWeek Magazine, courtesy of Mercury Magazine. Available for a limited time. Free Sample of Ritual of Sakura Hand Lotion-Scroll down and click the ‘Sign Up’ button. fill in the pop-up form to get your free Ritual of Sakura Lotion sample! This offer may not be available to all users. Free Van Cleave Beef Jerky Gift-Be one of the first 10,000 to sign up and receive a free Van Cleave Beef Jerky Gift from Copenhagen. Click here to get started. Free Sample of Vichy Mineral 89–Click here to request your free sample of Vichy Mineral 89. Close or scroll up to avoid the Virtual Assistant Boxes that get in the way. Free Make America Green Again Sticker–Click here to request your own “Make American Green Again” sticker, for free while supplies last. Free E-file Tax Services for Public School Teachers-If you are a public school teacher, you should take advantage of this great offer to use E-file for your taxes totally free! Fill in the form here and you will receive a voucher to redeem for your tax prep. Free Chaco Stickers-Click here to request your free stickers! Available for a limited time, while supplies last. Free Alles Restore Skincare Sample Pack–Click here and fill in the form to request your free Alles Restore Sample Pack. Available for a limited time, while supplies last. Free Custom Woodford Reserve Labels–Get personalized labels beneath the Distillery link at the top right after you enter your birthdate. Then you’ll have the option to create and order….all for FREE! Free LEGO Movie Event at Target-Bring your kiddos to Target on February 16th from 11am to 2pm for a fun free LEGO Movie event. There will be builds, games, and freebies! Click here for more info. Free Sample of SkinCeuticals Serum-Fill in the form here to request your free sample of a SkinCeutical Serum based on your skin! Available for a limited time, while supplies last. Free Design a Pair of I Love You Valentine Cards at JCPenney-Visit JCPenney on February 9th so your kids can make their own cards for Valentine’s Day! Click here for more info! Free KOE Organic Kombucha Drink–Click here to request your free can of KOE Organic Kombucha Drink! Available for a limited time, while supplies last. Free Class at Gymboree-If you want to bring your baby to play at Gymboree, this is a great chance! Click here to find your closest location and book your free class for a limited time only.